At JustFoodForDogs we start with the highest quality, USDA certified, restaurant grade meats, fresh vegetables and whole grains (we also offer grain-free options), all of which are approved for human consumption. We cook our homemade food for dogs, puppy foods and dog treats in small batches in our own dog kitchen and dog bakery. This is a critical point as it relates to quality control and commitment. All of our healthy recipes are prepared by cooking our all natural ingredients to the minimum allowed temperature in order to preserve the maximum nutritional value. 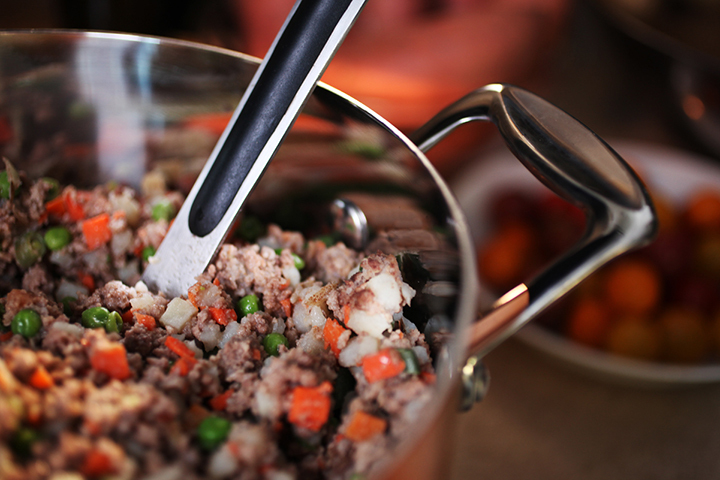 Whole grains and fresh vegetables must be cooked to a very specific point so that nutrients are preserved and a dog’s system can still benefit from the nourishment these healthy dog food ingredients offer.